As announced earlier, here is the second part of comments on the Eweida and others v the United Kingdom Judgment. This second guest post will focus on the two cases within the judgment which are most closely tied to freedom of religion. I am very happy to welcome this post by my former colleague Hana van Ooijen who defended her PhD prepared at SIM here at Utrecht University last year. Her book, Religious Symbols in Public Functions: Unveiling State Neutrality is a detailed and nuanced overview and analysis of the broader issues at stake. Thank you, Hana! If Britain were to be stereotyped in religious symbols debates, it could be called inclusive. A place where judges can wear turbans in court, where headscarf-wearing police officers can patrol the streets and where niqab bans are looked at with disdain. To dismiss this stereotype with a cliché: reality appears to be slightly more obstinate. 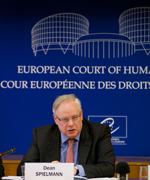 And so it is that also against the United Kingdom complaints concerning religious symbols have made their way to the European Court of Human Rights. The judgement of 15 January 2013 in no less than four joined cases meant another occasion following the widely discussed 2011 Lautsi case to step into the Court's labyrinth of thought. In focusing on the two cross cases Eweida and Chaplin, this comment elaborates on three reasons why the cases can be considered remarkable. These reasons have to do with the type of symbol involved, the test applied by the Court and the different outcome in both cases. 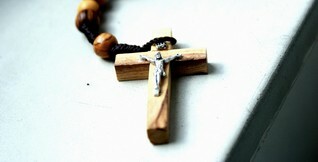 To begin with, it is the first time that the Court addresses the question of an applicant wearing a cross. Thus far, the ECHR case law included quite a number of cases on headcoverings (i.e. the headscarf or items allegedly replacing the headscarf, cf. the multiple cases against France in 2008, e.g. Gamaleddyn) and turbans (e.g. Shingara Mann Singh v. France, also in 2008). In 2011, the previously mentioned Lautsi affair added a case involving a crucifix on the wall of a public school. It may be asked in the first place whether the specificity of the religious symbol at issue is of any relevance for the outcome. After all, states and courts should be wary of entering into theological debates, a point which is alluded to in the present judgement by some intervening parties (§ 76) and by Eweida herself (§ 64). While this is true, in previous cases such as in the Şahin and Dahlab cases, the Court has not shied away from including statements touching on such debates (e.g. in Dahlab: "[the headscarf] appears to be imposed by a precept which is laid down in the Koran and … is hard to square with gender equality …") In the Lautsi case, the Court appeared to take a step back from interpreting religious symbols in bypassing the Government's contentions on the character of the crucifix by qualifying the crucifix as a Christian symbol (Lautsi, Grand Chamber, § 66). In the present judgement, the Court pursues this line of reasoning by similarly accepting that the crosses worn by the applicants qualify as religious symbols under Article 9 (§ 89). In so doing, the Court also leaves aside the domestic judgments that have struggled with the religious status of the symbol (although this struggle should be seen from the non-discrimination perspective in which the question of particular disadvantage is at play, e.g. § 14-15). Having thus determined the symbol at issue to fall within the ambit of Article 9, the Court moves to assessing whether the domestic measure constituted an interference with Article 9. This assessment makes for a second reason why the judgement can be called remarkable and is discussed in the next section. Before this discussion, a brief observation can be made as to the significance of the symbol in question on the domestic level. In Britain, the disputes have sparked vehement national public debates on the position of Christians. In these debates, it has been suggested that Christians are being disadvantaged in comparison to other religious groups (the Equality and Human Rights Commission speaks of the 'Christian marginalisation narrative', Research Report 84, p. 112). This point can be derived from the cases as well. For instance, the facts point to the accommodation which British Airways provided for Muslims and Sikhs by allowing them to wear headcoverings (§ 11). Additionally, the contention can also be inferred from the number of interveners who represent the divergent positions in the debate (§ 76 ff.). The Court itself notes that it departs from previous case law (§ 83). Contrary to previous cases where professional duties appeared to be at odds with religious duties, the Court does not follow its 'particular regime' line of reasoning (while carrying several labels, this line of reasoning builds on two thoughts: that an applicant needs to accept that particular jobs or environments entail inherent limitations on his freedom of religion and that the ultimate safeguard of one's freedom of religion is the freedom to resign). Stated briefly, in earlier cases, the Court (and the Commission) established no interference to have taken place in such cases and thus rendered those cases outside the scope of Article 9. The downside of this line of case law was that it was not always transparent why a particular claim was deemed outside the scope of Article 9. Moreover, it significantly left leeway to the state to play the 'particular regime' card. It now seems as if the Court moves away from the particular regime approach towards an approach which puts more emphasis on a proportionality test. If this is true, this change is to be applauded, as is also done by the Strasbourg Observers. For future cases, it remains to be seen whether the Court actually intends to shift its approach. The Court might also apply a distinction between cases where applicants face a sanction as a result of exercising their religion and cases where they can guarantee their freedom of religion by resign (cf. § 83). Leaving aside this ambiguity, in the present cases the Court pays more attention to a proportionality test. Accordingly, it reiterates some factors such as the applicants' conduct, the extent to which the regulation has given rise to problems and the attitude of the employer in seeking a solution. One may wonder, though, whether these factors have actually contributed to the outcome. As is also discussed in the next section, it is not entirely clear how the factors have influenced the final outcome. Especially in Chaplin, the Court seems to leave aside these factors and to focus on whether the state has struck a fair balance between the interests involved. The interest of health and safety seems to trump any questions on for instance the facts that changing the uniform caused a problem to arise for the applicant and that it took another two years after the change of the uniform that the applicant was directly addressed. The outcome in each case can be resumed simply by the findings of a violation in Eweida and not a violation in Chaplin. The particular factors involved are mentioned, but in the end, the one crucial difference between the two cases seems to lie in the ground for limitation. In the Eweida case, the main interest of British Airways to impose limitations in the uniform code is safeguarding the corporate image (which is remarkable in itself, as there was so little attention for the rights and freedoms of others, or perhaps even safety for that matter). In the Chaplin case, the state pursued the aims of health and safety (and it may be noted that not a word on neutrality is uttered). The individual applicant's interest in each case was to manifest her religion. This interest outweighs safeguarding a corporate image, but not guaranteeing health and safety. While this outcome seems to make perfect sense, it seems to neglect a little the other factors at play. Another question concerns the sector of work in both cases. Eweida worked as a check-in staff member of British Airways, which nowadays can be called a private company. By contrast, Chaplin worked with the National Health Services, and can as such be considered a public sector employee. Accordingly, theoretically speaking, the duties of the state in both cases differed. Whereas the state can be said to incur the direct obligation to comply with Article 9 in the Chaplin case, it is bound through the positive obligation concept in the Eweida case. That said, the Court emphasises that in both cases, the state should strike a fair balance (§ 84). It is surprising that the upshot seems to be that the state incurs a heavier burden to comply with its obligations under the Convention regarding a private company than regarding its public services. This is compounded by the fact that the question in Eweida was not so much whether the company acted in accordance with the Convention by banning the cross. After all, British Airways had already modified its policies so as to include the cross in the uniform. The remaining point at issue concerned the refusal of the company to pay damages for the four months in which Eweida had not worked. Exactly regarding this point, the particular factors give reason to at least question whether British Airways had violated the Convention. The dress code did not raise any problems before. Accordingly, it can be asked whether it is unreasonable for a company to have at least a short period of time to adapt its policies to novel claims of accommodation, especially when the company offers an alternative position for that period. By contrast, the Chaplin case concerned the principled question whether National Health Services could ban the cross in light of the Convention. While acknowledging the importance of health and safety, it can nonetheless be wondered why the Court does not tie in more closely the factors which it mentions earlier. Both parties seem to have made efforts to reach a reasonable compromise, but it can be questioned whether NHS sufficiently worked endeavoured to accommodate the applicant's claim. Admittedly, it is easier to make critical remarks on the extensive judgement of the Court than to write this judgement. Some aspects of the judgement make way for richer lines of reasoning, such as the lack of theological interpretation of the cross, and the emphasis on a proportionality test. It will be interesting to see how particular factors can be tied more closely into the outcome of this test. A provisional version of the Court's annual report and an analysis of statistics (including information on the number of cases per country) can be found on the Court's homepage. Russia, Turkey, Romania, Ukraine and Bulgaria. Compared to the 'top-5' of last year, the difference is that Greece no longer features (now placed number 7 with 52 judgments in which one or more violations were found) and that Bulgaria has entered the top 5. In addition, over the past few years a certain number of blogs have appeared online concerning the Convention and the Court’s case-law. They shed new and often valuable light on the way in which our case-law is perceived by others, contributing very effectively to its dissemination. We read them with the greatest interest and I commend these initiatives.